Vasco Assets has always held itself to the commitment of creating a brighter future for our community. 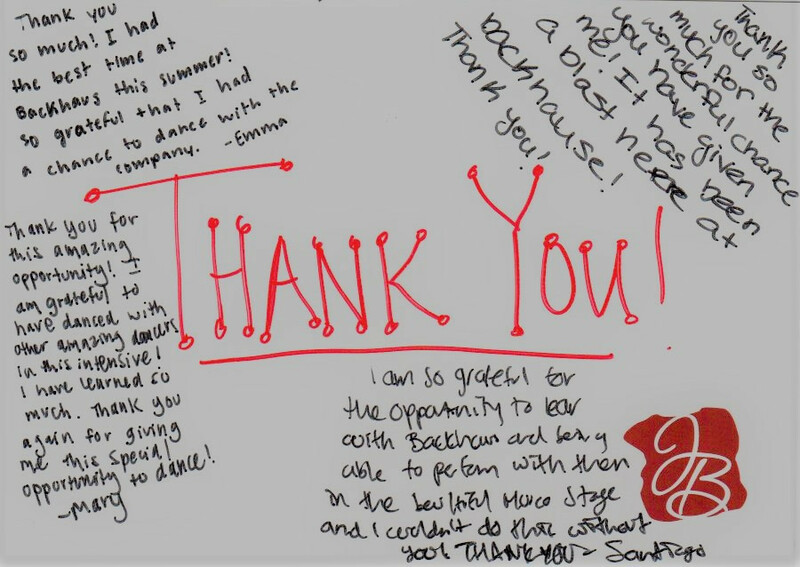 In this spirit, Vasco’s own Benny Mor established the B. Mor Summer Intensive Scholarship sponsoring a full ride scholarship for 4 young students to the Summer Intensive Program at Backhausdance company. The students Justine(12), Emma (14), Mary (20), and Santiago (20) are using the scholarship to become professional dancers. On August 5th, the culmination of 2-3 week dance intensives came to fruition. The four aspiring dancers displayed their newly polished talents and wowed the audience with renditions of Backhausdance’s past performances in their latest production “Then & Now: A Choreographic Retrospective”. Each participated in 3-4 performances that night. 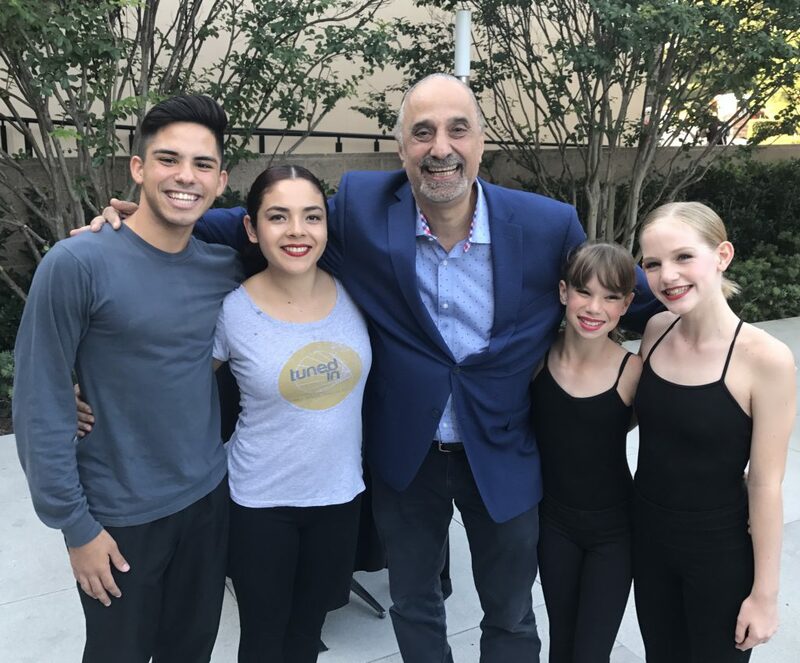 Justine, Emma, Mary, and Santiago had the opportunity to meet their benefactor on the opening night of their performance. Afterwards they handed him this card (pictured below) as a token of their appreciation. After the show Benny said “I am so happy to see the potential of Justine, Emma, Mary, and Santiago becoming a reality and am optimistic about their success in dancing”. He continued that he is looking forward to continuing the scholarship in the future. He said he does so to make the world around him a place of opportunity for everyone.